When it comes to country music documentaries, especially when they center around often-overlooked independent artists, European filmmakers don’t just have American filmmakers beat, the sad prognosis is that there’s just very few if any American filmmakers to compete with. For whatever reason, the collective will to raise the capital to chronicle American roots music exists in much greater numbers in the Old World than in country music’s place of origin. Country music ambassadors like the recently-passed George Hamilton IV planted the seeds of appeal for the authenticity of American country music and roots, and that desire has remain steadfast over the years, and manifested into material support for artists in both the performance and journalistic realm. Working with German-based outfit Art Haus Musik, filmmaker Marieke Schroeder takes a deep dive into the American South and the artists at the forefront of the next generation in Country Roads, The Heartbeat of America. Making appearances during the 90-minute documentary are John Carter Cash, Caitlin Rose, her mother and songwriter Liz Rose, Woody Guthrie’s daughter Norah Guthrie, Kevin Costner, Papa Joe and the Carter Family Fold, The Ryman Auditorium, Robert’s Western World in Nashville and Brazilbilly, and most prominently, Justin Townes Earle in possibly the most intimate look at the 2nd generation performer we have seen to date. Other notables that make quick appearances include Ashley Monroe, Angaleena Presley, and Miranda Lambert in the capacity of The Pistol Annies, Amanda Shires, and Lisa Marie Presley. Stock footage of Johnny Cash and others is also used in the film. 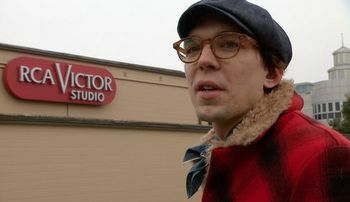 Acting as a guide through both the explanation of the roots of country music and the streets of Nashville, Justin Townes Earle and many others try best to define “country” for a foreign audience in the film. If there was a second most-featured character in the film, it would be Woody Guthrie. From Earle’s deep study of the man, to the appearance of his daughter, to his influence on the music being made even today, Woody, and to an extent The Carter Family, become the centerpiece-in-spirit of the story. 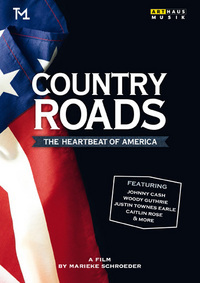 The Country Roads DVD also includes an entire Justin Townes Earle concert performed at Pace University on October 26th and 27th of 2012 called “The Spirit of Woody Guthrie.” The presentation doesn’t include Woody Guthrie songs, but instead features songs inspired by Woody’s musical legacy and performed by Justin. Something else Country Roads affords for Americana music aficionados is intimate footage of Justin Townes Earle recording his 2012 album Nothing’s Gonna Change The Way You Feel About Me Now, and the actual studio session where Caitlin Rose is singing her now highly-regarded Arctic Monkeys cover of “Piledriver Waltz.” This tells you that the film was shot roughly two-and-a-half years ago, and so in some ways you feel like you’re looking a little bit towards the past, though the film presents itself as being a relevant, here-and-now project, making for a slightly unusual sense of timing. Both Caitlin and Justin Townes Earle have subsequently put out newer music. Country Roads is exquisitely shot, and does a great job capturing the dirty details of the South from a cinematic standpoint. The film is interspersed with rolling footage taken from the vantage point of a traveler on country roads, presenting both the most humble of existences in the form of outdated singlewides on stilts and backwoods cabins, to stately new upper class suburbs. Filmmaker Marieke Schroder, who in the mid 80’s lived in the United States in a school exchange and discovered the emotionalism present in Southern culture, makes stops along these roads to talk to common people: shopkeepers, the unemployed and retired, oyster fishermen dealing with the aftermath of the BP oil spill, and others. In these encounters you get a glimpse of the South beyond the music. What the American audience and seasoned country music listeners should approach this film with is the understanding that at its core this movie is not made for them. It is made to be a primer to country music and the American South. The narration of the film comes across in the English version as quite presumptive about Southern culture and certain events, romanticizing the plight of the recent economic downturn and the depravity the South finds itself in, as well as getting other specific details a little off. For example, a couple of times the film says that Southerners now mostly hang out at gas stations. Though that may be true for some communities, that is not necessarily true for the entire Southern region. Some things may have been lost in the translation, while other broad generalities made in the narration may actually be a concise way to explain the complexities of the South to a foreign and unfamiliar audience. What the established country music audience does get from Country Roads is a quite valuable and involved portrait of Justin Townes Earle, and a lesser, but still insightful glimpse at Caitlin Rose, John Carter Cash, The Carter Family Fold, and other important cultural players and institutions. I was really surprised when I saw this on french television a few weeks ago. Great documentary. Didn’t like the political aspect at all though, didn’t think it was necessary. Justin is definitely the star here, he made some very good points about Nashville and pop-country. Country isn’t popular at all in my country, but this is a pretty great introduction. I also saw this on french TV, usually here when you say you a Country Music Fan here in France people think you’re a line dancer. This documentary is very interesting and talks about real country music, talking of Hank, Cash, Townes Van Zant and so. I suppose that a lot of people who think they are country because they dance on Itchy Breaky thing discovered the real thing threw this broadcast, I agree with Bandini (Nico ?) 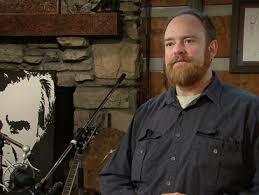 that its a good introduction too roots music, or a setup for supposed country fan. On the same (cultural) channel about twenty years ago we had a very good documentary about Hank Williams “Vie et mort d’un Cadillac Cowboy”, “Life and death of a Cadillac Cowboy”, the journalist hanged around places where Hank used to live, perform … With a Charles Carr and Driftin’ Cowboys interviews, if I remember well, unfortunatly it doesn’t look like to be available on DVD. Enjoyed this article, Trigger. Will look out for this documentary. One caveat: you might want to change this wording – ‘[…] romanticizing the plight of the recent economic downturn and the depravity the South finds itself in’ – from depravity to deprivation, which I think you mean. That is, unless the current ‘bro country’ trend and the frat-boy mentality it encourages has consumed Dixie ! No, I didn’t mean deprivation, though I admit that sentence is kind of awkward. You would just have to hear the voice-over narration to the documentary to sort of understand it better. They just needed to get someone stateside to help them with it or something. It comes across very awkward in and otherwise very well-made doc. Seems like a very insightful documentary. 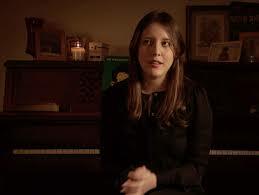 This is a bit shallow, but Caitlin Rose looks quite sizzling hot in the video. She and Kacey Musgraves would make for good one-night-stand material! I also find it to be a nice twist that right after Justin Townes Earle’s comment criticizing politics in music, the video plays “Man in Black”, perhaps Johnny Cash’s most political song. It truly shows how a wide diversity of lyrics and viewpoints have a home in country music. Considering it was the British acts that saved our blues legacy, I am not surprised to read this. And the Japanese have us beat on the jazz scene in terms of new talent and respecting the old talent. American doesn’t seem to care much about it’s heritage in the musical arts in the way other countries do. In fact we seem to shun them more often than not. It still amazes me that Tina Turner had the least success in The States. Europe, South America, Africa she was and is a global superstar. All of her live concert videos/DVD were filmed outside the US for a reason.